Beautiful tile border sticker for decorating your kitchen or bathroom in lovely shades of pink and purple. This decorative vinyl sticker is available in any size you need to fit your decor and is perfect for adding that touch of style to any part of your wall. 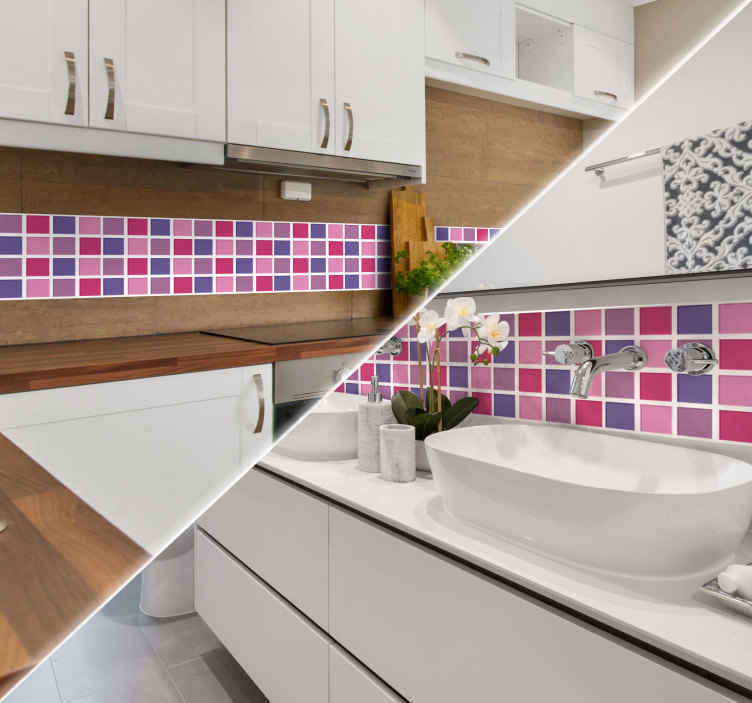 These gorgeous violet tones are just what's missing from your kitchen or bathroom to provide that warm and personal touch at a fraction of the cost of real tiles.